* No. 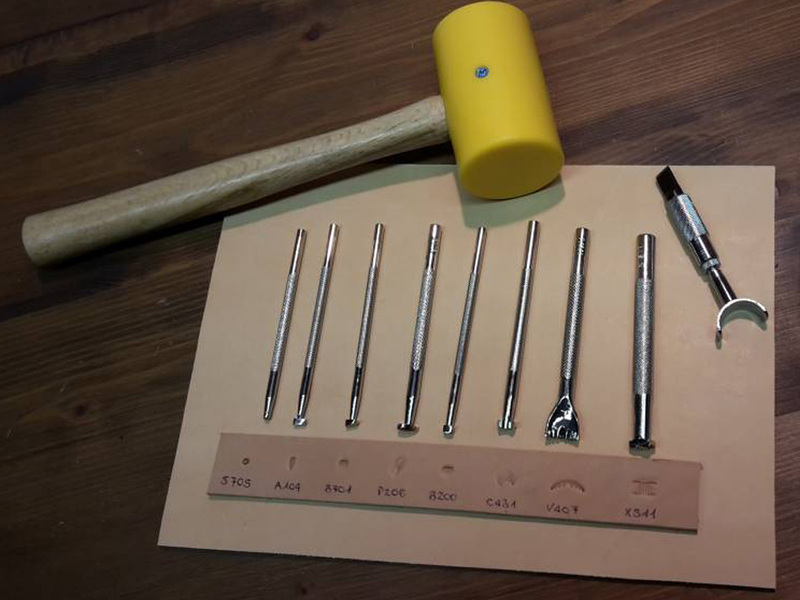 8 basic chisels, in alloy, this set is ideal for starting to enter into the world of leather tooling. 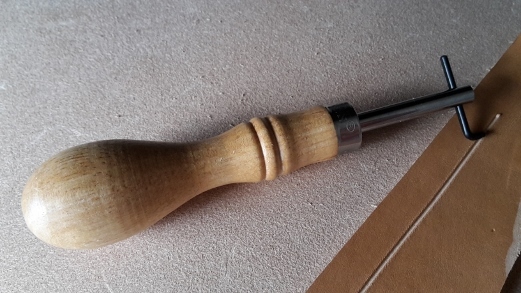 A hard wooden handle and a 6 cm. awl. The finest quality, spiral cut from our Natural shoulder pieces, resistant and suitable for any type of processing and application. Minimum purchase of 5 linear meters. Hand stitching roulette machine with wooden handle. Including four toothed markers: 3.5 mm., 4 mm., 4.5 mm. and 5.5 mm. + screwdriver. Full-grain and full veg. 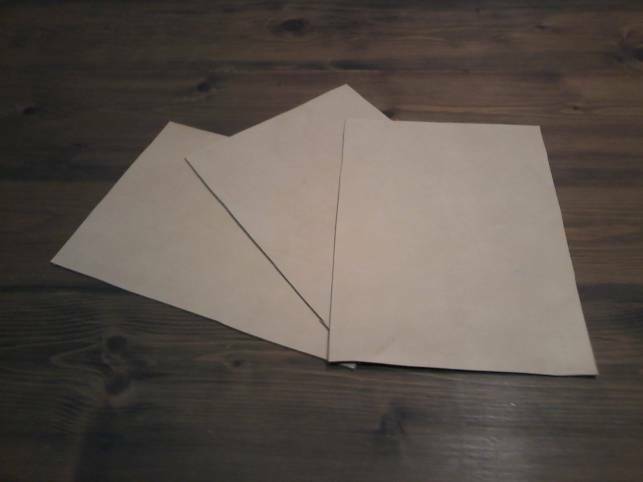 tanned leather panels, Natural Crust, thickness mm. 2,5/3 (6-7 oz.). Obtained from our veg. tanned d. shoulders, ideal also for tooling/carving. 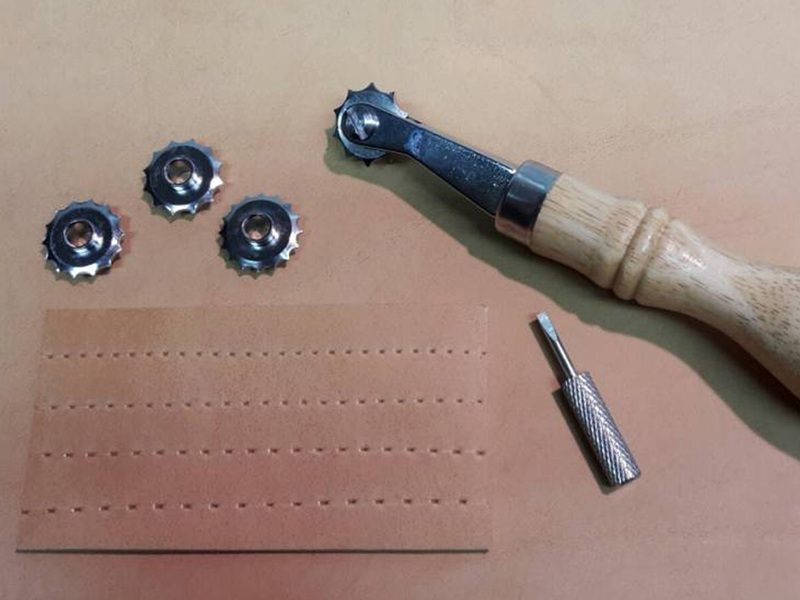 The leather strap cutter can be adjusted to cut leather and strips of various thicknesses up to 10 cm. It Includes 1 blade in the tool + 2 replacement blades. You can also select spare parts of the blades (5 pcs.). Leather stripes obtained from our Natural cowhides. Maximum strenght, excellent quality, since this is natural leather it is perfectly suited to be colored, engraved, tooled, pyrographed and so on. 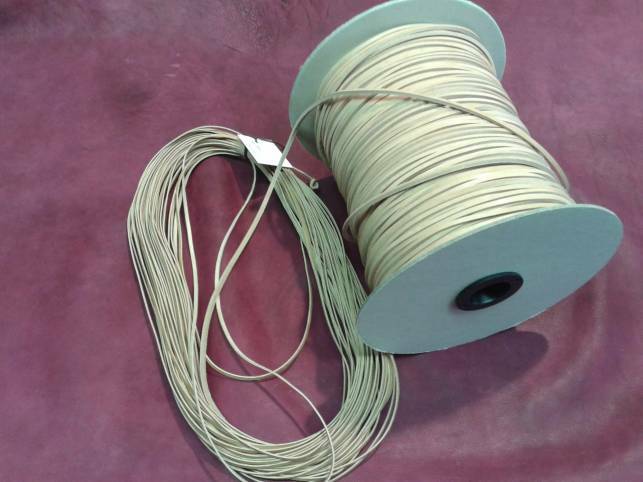 Edge Beveler, very suitable for the production of belts and leather products. It is an indispensable tool to trim the edges. Available in size 4 (4 mm.). 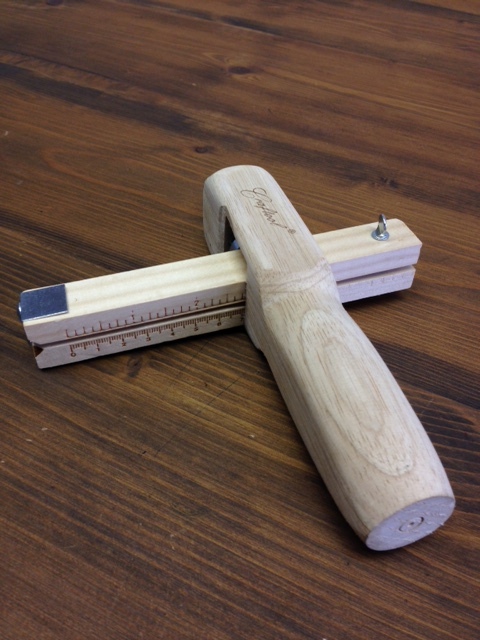 Ideal for measuring and making grooves on the leather. It produces very precise grooves. Adjustable width from 1,5mm. to 19mm. Steel blade and practical wooden handle. It lubricates the surface of the leather, making it supple and pleasant to the touch. It tends to dull surfaces that are too shiny. It is the most natural compliment to our leathers. Water soluble, 1 part product: 1 part water. It nourishes the leather, giving it a silky feel while protecting it from aging. When applied and brushed with a cloth it gives the leather the most natural possible gloss. Compound of casein, polyamides and polyurehetane resin mixed in water. 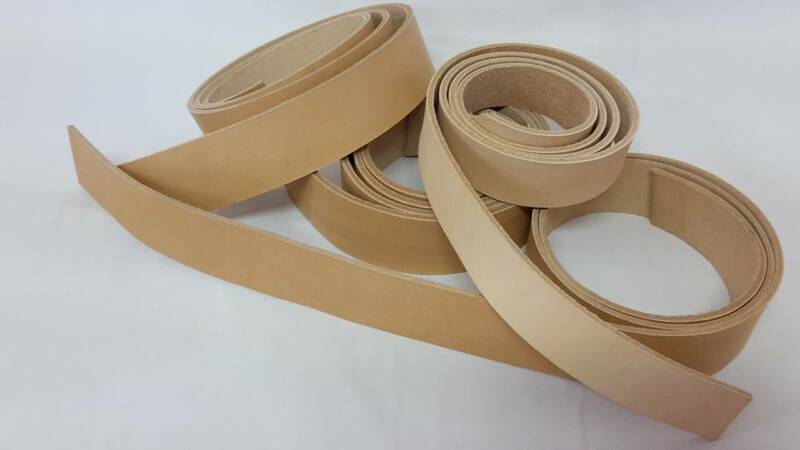 Suitable to seal the color of the leather in particular after the use of pigments. Allows you to obtain desired color without penetrating the leather thus preseving its peculiar characteristics. For use with airbrush or a buffer. Pack of 2 needles for craftsmen and do-it-yourself. Useful for the leather, for all skin types, for saddles, etc. Professional, round with blunt tip. Available "Large" and "Small" sizes. Creamy liquid that gives the skin a natural look worn and aged, coloring and feel that the typical vegetable tanned leather get after the natural flow of time and an intensive use. Easy to use, ready solution to use by hand. For an excellent finish of leather items our edge dye liquid, applied to the raw edges of bags, briefcases, belts and other objects, ensures good penetration into the material, as well as elasticity, luster and shine. 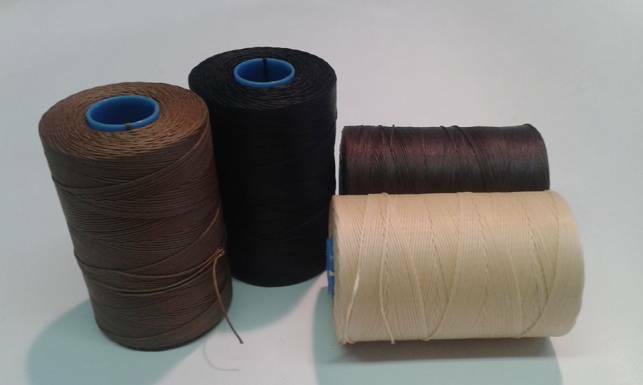 Polyester Waxed thread "Barbour" type, high tenacity for leather, mm. 1,0. Excellent grip and maximum resistance, it is ideal for all techniques of hand-stitching. The high quality wax allows to ensure the tightness of the point, without leaving any residue during processing. 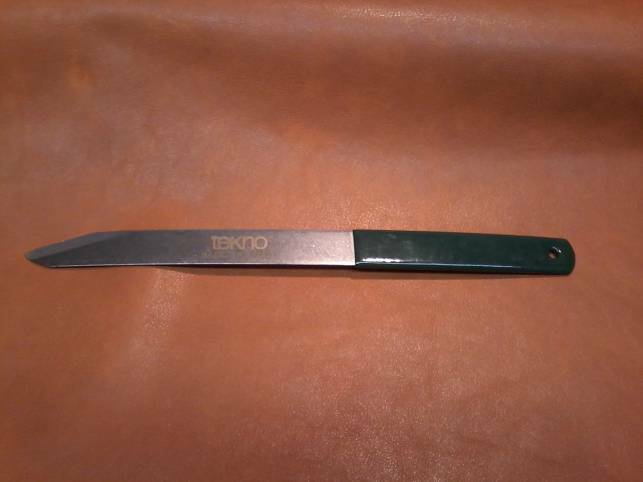 Professional shoemaker's knife, hardened steel with rubber handle. For accurate and precise cuts, already sharpened. 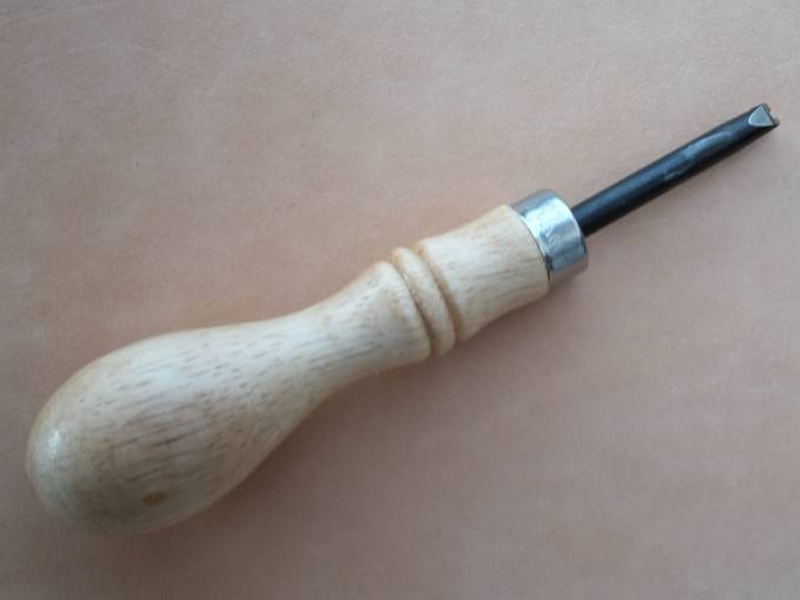 Sewing awl for all types of leather. 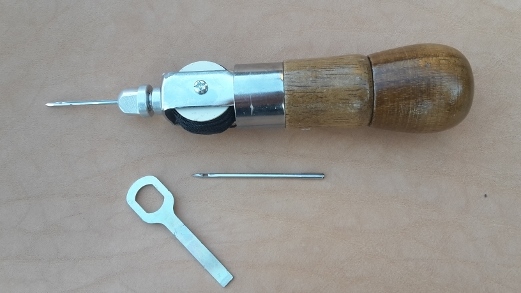 Practical wooden handle, including 1 large needle (4,5cms. 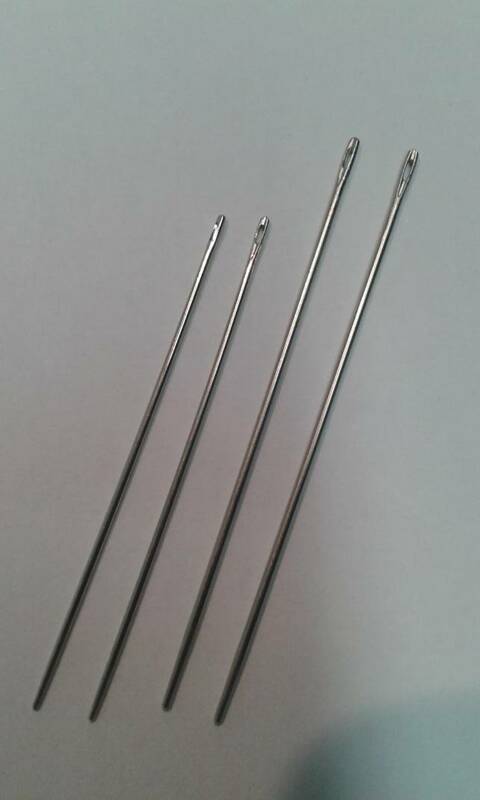 ), 1 small needle (3,5cms. ), the key and a small spool of black thread. 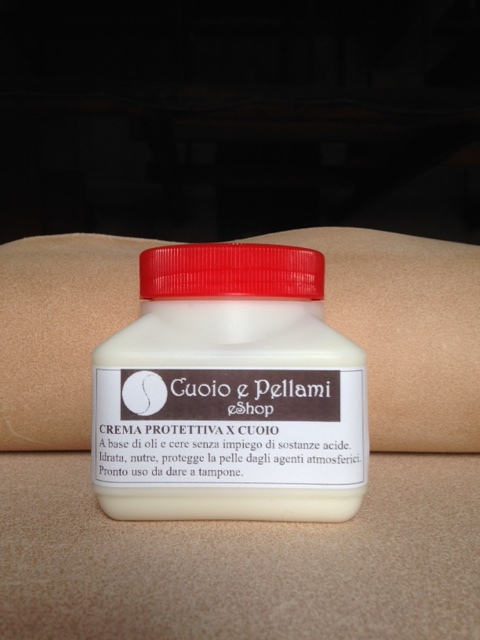 Protective cream for both natural and finished leathers. Oils and waxes based, without the use of acidic and harmful substances. It moisturizes, nourishes and protect the surface of the leather from the elements, forming a thin layer of water repellency. 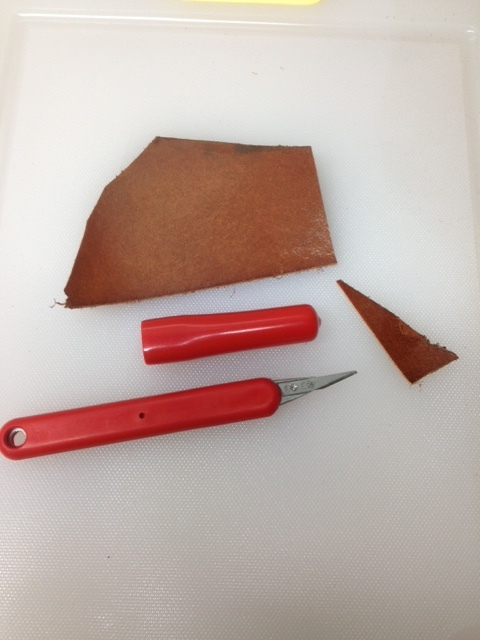 Professional leather cutter, article "Mozart": the classic 'red cutter'! Longlasting blade for an excellent and extremely precise cut. Rubber handle and replaceable blades.